Jean Marie Buckley, President and Educational Counselor at Buckley Education Group, Inc.
Jean Marie Buckley is an educational counselor and the president of Buckley Education Group, Inc. She has 30 years of experience as a college counselor and holds an M.Ed. in counseling and student personnel services, an M.P.A. in educational administration, and an educational counselor credential in the state of California. 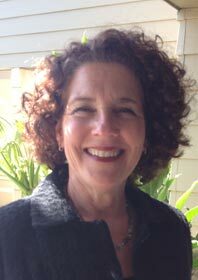 She is a member of NACAC, WACAC, IECA, the California Association of Gifted Children, and the Learning Disabilities Association. I have worked in the field of education counseling my entire career. When I made the transition to private practice, I wanted to provide an ethical, professional, and informative perspective to the field of college preparation and college counseling. What have been constant, throughout my career, are the relationships and the ability to empower young minds with the opportunities available to them. What is the biggest challenge you face in your position, and how do you tackle it? I use the term "obstacles" rather than "challenges." I see the biggest obstacles to be those of educators and significant adults who do not believe in the capability of a young person. What are some of the steps you take to cultivate a college-bound culture among your students? I believe, within the core of my being, that each student deserves the opportunity to learn. The work is in guiding their belief that they can achieve and in the belief that they have options available to them. Believe in humility (as education will be a lifelong journey). Collaborate with peers, mentors, and instructors. Feel empowered by the choices they make. This is the quote I say often in my office: "It's not what you do that sets you apart from the rest, but why you do what you do." Students and parents don't understand the uniqueness of each admission office's process. It is essential that when building a college list, a child understands the uniqueness and character of the school and how they review applicants. All of the time. This is the core of parent/child communication. I see my role, as a credentialed counselor, as guiding the conversation and providing mentorship and insight to parents as they learn about the individuation process for their child. Students use YouTube to showcase their athletic performance and for auditions. Students use Facebook as a way to find out more about a school's social culture. I tell students that their "digital footprint" is a component of what they are telling the world. So, be mindful and thoughtful about what is said in an online platform. Those guiding students in the college counseling aspect must separate their role of college advisor from test preparer. I believe, as a professional, delineating the roles is essential to a smooth and uncomplicated relationship. Students and their parents need to understand the process of applying and the implications of being a need-based, need-blind, or need-aware school. In your experience, what makes a counselor successful in his or her role as an editor of application essays? The ethics of counseling require that students be the authors of their own work. A counselor can give them insight into the content, the structure, and the scope of the essay. I tell students that the hardest part in the process is developing a college list that reflects all the defined components. Before starting the college list development, I make certain that the student defines what they want in very specific terms. This is a copyrighted component of my process. In your opinion, what are some of the best ways that students can make themselves stand out beyond their applications? Students need to know the school that they are applying to and then show curiosity about that particular school. This could be demonstrated in many ways, including school-based visits, a college admission person visiting their high school, or attending college fairs and college information sessions. Finish this sentence: On my first day at work as a counselor, I wish I had known . . .
. . . how wonderfully talented and insightful young minds are! I consider my biggest accomplishment the lifelong relationships I've developed with my students and the impact they have had in their professional and personal lives. One super power you wish you had: The ability to be in many places at once! Five people you would invite to a dinner party: As a fourth-generation San Franciscan, I would want to invite my ancestors who made the trek from Europe to the San Francisco Bay area. Your personal motto: Work hard and work ethically. With these two in hand, greatness can be achieved. Discuss any additional topics, common problems, advice, etc., you feel are important. The process of guiding students is one that requires an understanding of a student's individuation process, the respect for the parents' ability to let go, and the understanding that the field of education counseling is one requiring ongoing professional development. In this field, each professional should understand their limits and work within those boundaries. Students must spend time in self-reflection to understand what is unique to their college search process. Parents must love and support their children as they guide them in their educational journey. Tell us a little about your background and your practice. My expertise in the field of college counseling spans a career of experience. I have worked with a range of students (from gifted students to those with diagnosed learning differences) and have worked in a range of educational settings. My work with international communities, guiding students to best understand the college admission process, has been a core component of my work within schools. My educational background is embedded in education, counseling, school systems, and student achievement. I understand student success and how students must flow through their educational path to achieve their goals. My philosophy is to find the "best fit" educational setting. My process requires students to self reflect and I ask questions that delve into the uniqueness of a student. I have been involved with Stanford University’s School of Education Change Program to reduce student stress and have been employed in the undergraduate admission office at the University of California at Berkeley for a number of years. I have a balance of understanding student motivation, student excellence, family systems, school systems, and how a student can successfully matriculate to a college setting. I hold the highest expertise in education and college admission counseling. In my humble manner, I want students to be guided in the highest ethical manner. Buckley Education Group, Inc. (subsidiary companies: BuckleyTutors, BuckleyCollegeCounseling, Buckleyeducationalcounseling) is the place to ensure a student achieves the right acceptance.